In the first of our Lent addresses on the Celtic Saints Fr Harri Williams, Secretary of the Friends of St David’s Cathedral spoke tonight at Evensong at St Mary’s Prior. Very little is actually known about David, or as he is known in Welsh, Dewi. It is believed that he died in a year when 1st of March fell on a Tuesday, this could either have been AD 589 or 602. The basis for our understanding of David’s life is taken from a work, entitled ‘Buchedd Dewi’ written in the 11th century by Rhigyfarch, son of Sulien, a bishop of St Davids. Tradition has it that David was born (c.500) on the cliffs around 1 ½ miles from the present site of the Cathedral, where the present ruined St Non’s Chapel stands today. David is said to have been of royal lineage; his father Sant, was the son of a prince of Ceredigion, whilst Non was the daughter of a local chieftain, legend has it that Non, was also a niece of King Arthur. David was educated at Hen Fynyw monastery, where his teacher was Paulinus, a blind monk. David began his ministry by travelling extensively across Wales where he established several churches. 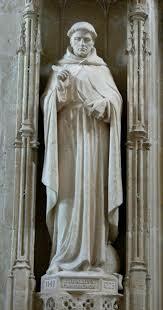 He travelled to Hereford, Gloucester, Devon, Cornwall and Brittany, after the great plague of 547. His pilgrimage to Jerusalem was significant as it was here that he was consecrated a bishop by the Patriarch, John III. Two of his companions on these journeys were Padarn and Teilo, later saints of the Church. David founded a monastery at Glyn Rhosyn, on the banks of the small river Alun. The monastic brotherhood that David founded was very strict, indeed David was known as Dewi Ddyfrwr (David the Water drinker) as he frequently stood up to the neck in water for hours in order to subdue any urges of the flesh. 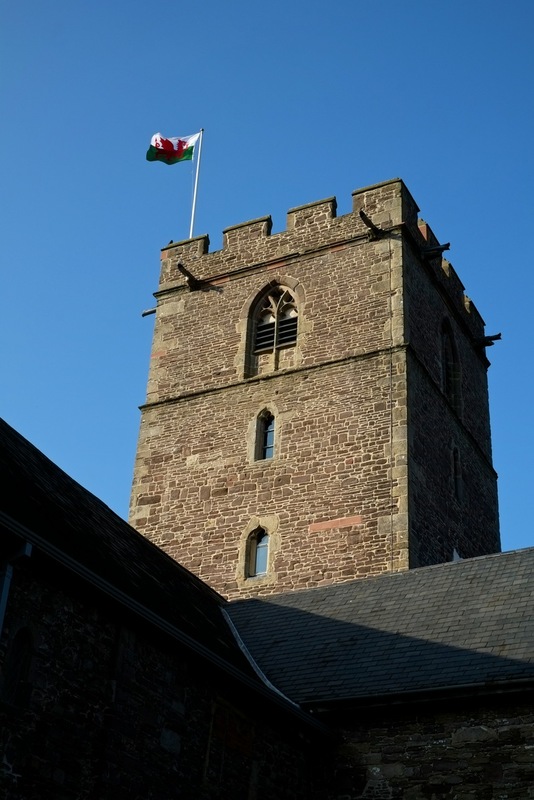 The best known story regarding David’s life relates to the Synod of Llanddewi Brefi. Due to the synod being held outdoors, few of the large crowd could hear him. The Life then states that a boy put a handkerchief on the ground before him, and when David stepped onto it, the ground raised beneath him forming a little hill. The eloquence of his speech, inspired by the Holy Spirit is symbolized the arrival of a dove which came and rested on his shoulder. It is claimed that David lived for over 100 years, and upon his death the monastery is said to have been ‘filled with angels as Christ received his soul.’ His last words to his followers are said to have been ‘Lords, brothers and sisters, be joyful and keep the faith, and do those little things you have seen me do and heard me say.’-‘Gwnewch y pethau bychain’. David was buried in the grounds of his monastery. 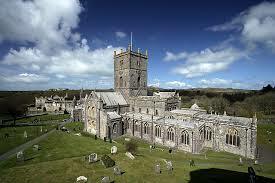 The celebration of St Davids Day dates back to 1120, when David was canonised by Pope Callixtus II. Upon his canonisation, pilgrimages began in earnest, and it was reported that the Pope decreed that two pilgrimages to St Davids equalled one to Rome, and three pilgrimages, one to Jerusalem. There are over three hundred churches dedicated to St David across the world, and it is claimed that he also founded the monastery at Glastonbury. 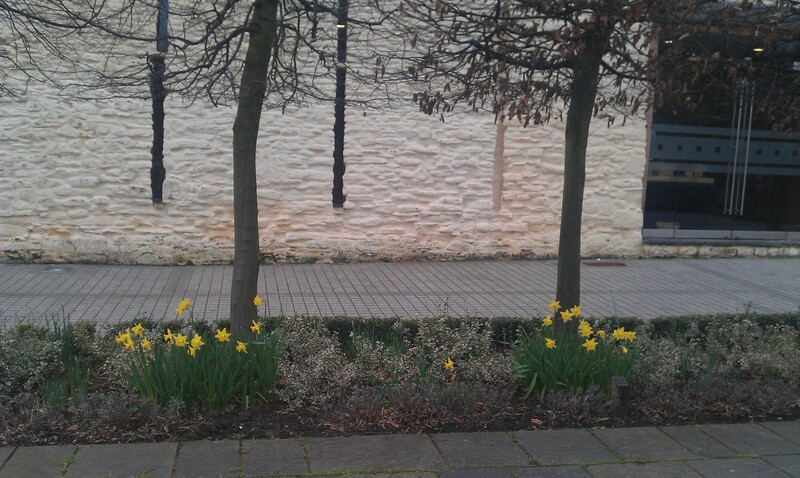 So what does the example of St David have to teach us as Christians today? Well we should honour him as it was he, who as the Bishop and hymnist Timothy Rees wrote, ‘strove and suffered here the holy Church to plant.’ David established and built the ancient Church here in Wales, but he left us with so much more. For it is those words of wisdom, those words of faith spoken on his deathbed which have echoed down the centuries, words which have become part of the cultural identity of the Welsh people and they are words which should encourage and inspire us today. Being joyful seems to be an ever increasing challenge for the Church in this current age. With our divisions and disharmony, we seem to lack the joy of an Easter people, which is what we are called to be. The Church’s purpose here on earth is to profess the faith of the crucified, risen and ascended Lord. To make known to the entire world the honour of his name and to make his love a reality in the lives of all God’s people. David in his life sought to preach the joyful message of the Gospel to all people. He travelled the length and breadth of this nation and others in order to proclaim the salvation which was won for us by Jesus Christ. Today let us be joyful in our expression of faith, let us rejoice in our common witness. To keep the faith, in this so called secular world, can seem to be a great challenge. When the Church is faced with increasing bureaucracy and legislation from the state, when the public expression of Christian values is being attacked, we may as followers of Christ find this a difficult task. In this season of Lent we are reminded that we are called to take up our cross and follow him, that we are called to make sacrifices in our lives so that we too may follow Jesus more nearly and love him more dearly. St David in his life did exactly that. He fought for the faith, in the face of opposition from those in power and authority, but it was through the strength of his teaching, and his holiness of living that he was able to convert their souls for Christ. So we too in our own age must seek to keep the faith handed to us by the Apostles and to stand firm, as St David did, for the truth of that despite what popular opinion may be either within the Church or within society. To do the little things, what does that really mean? Well David in his life sought to provide us an example of Christian living. He sought through word and deed to make Christ known. Through the community which he founded in the Valley of the Roses, based upon the principles of prayer, worship and hospitality he sought to reveal something of the glory of God, of the incarnate Christ. So we too in our day must seek through our lives to reflect Christ and to see his face in one another. We must seek to lay aside trivial and petty matters and always place Christ at the heart of what we do and who we are. We must do those little things, those acts of kindness and generosity which speak something of the love of God. 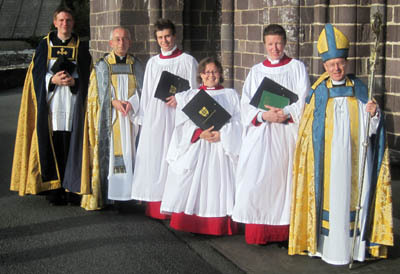 Next week Canon Mark Soady speaks about St Teilo, whose stall he holds at Newport cathedral. Next Week’s Service will be at Christchurch, North Street at 6pm. Cllr Maureen Powell, a member of the Congregation at St Mary’s Priory and current Deputy Mayor, was tonight elected by the Town Council as Mayor for Civic Year starting in May 2015. Cllr Powell is a former Chairman of Monmouthshire County Council and represents the Castle Ward on both the County and Town Councils. 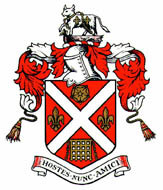 Welcoming the news Canon Mark Soady said, ” She was a great County Council Chairman, is a very good Deputy Mayor and I am sure she will serve the town well in her new role”. In the Church calendar the Feast of St David has been moved from Sunday March 1st to Monday, March 2nd, as March 1st is the second Sunday in Lent.